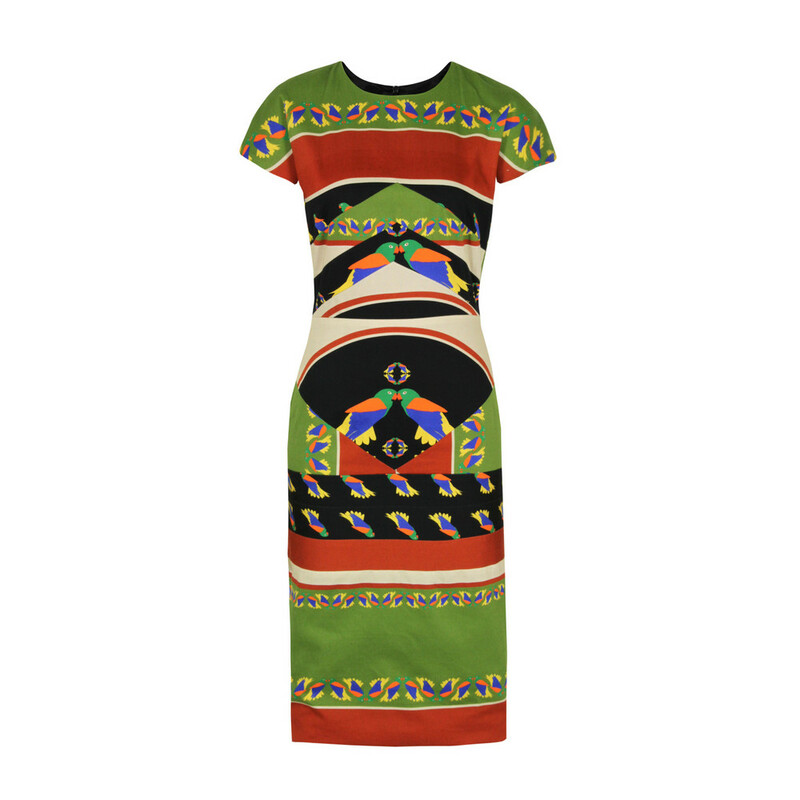 Trumpet, womens fitted dress with a round neckline and multi coloured parrot and scarf print. The dress also features capped sleeves, a concealed rear zip fastening and a single rear vent. The dress is fully lined and sits at mid calf length.